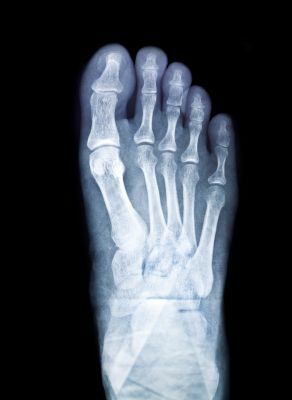 Foot Emergency: Urgent Care for Fractures | Podiatry Associates, P.C. Broken bones need immediate care. Just ask the Seahawk’s player Jeremy Lane, who is recovering from a snapped wrist after a bad tackle followed his Super Bowl interception. Bones may be tough, but they aren’t invincible—and they take a long time to heal. The right treatment is important, particularly for fractures in the support bones in your feet. The right first aid, before getting X-rays to confirm the break, can relieve the pain and protect the foot while you wait and prepare for more in-depth treatment. Most broken bones, including those in your foot, are sudden and painful accidents. They are not issues that you plan for, and they’re rarely preventable. Your feet are particularly vulnerable to a broken bone, because they have to support so much weight and strain whenever you stand or walk. The key to your recovery after this kind of accident is how you treat your foot right after it breaks. You can’t continue walking along on the injury, whether it’s to a toe, the heel, or somewhere in between. In many cases, the pain would be too significant to do so—but even if you can, walking on fractures almost guarantees you’ll make the problem worse. Instead, you need urgent care. Use emergency first aid and promptly contact specialists, like our team at Podiatry Associates, P.C., for X-rays and treatment. Rest – Stop your activities and remove all weight from the injured foot. That way you don’t turn small, manageable injuries into large, complicated ones. Ice – Gently apply ice to minimize swelling, inflammation, and bruising. This will also help deaden some pain. Elevate – Prop your foot up on pillows to reduce swelling. This will keep you from putting weight on the foot until it can be treated. After you’ve provided first aid, you need urgent care so the bone can begin healing the right way. Bones that heal incorrectly, especially those in the feet, can cause life-long discomfort and lead to issues like arthritis later. Don’t wait to get help for any kind of foot fractures. Call Podiatry Associates, P.C. at (303) 805-5156 to make an appointment at our Castle Pines or Parker, CO, offices.